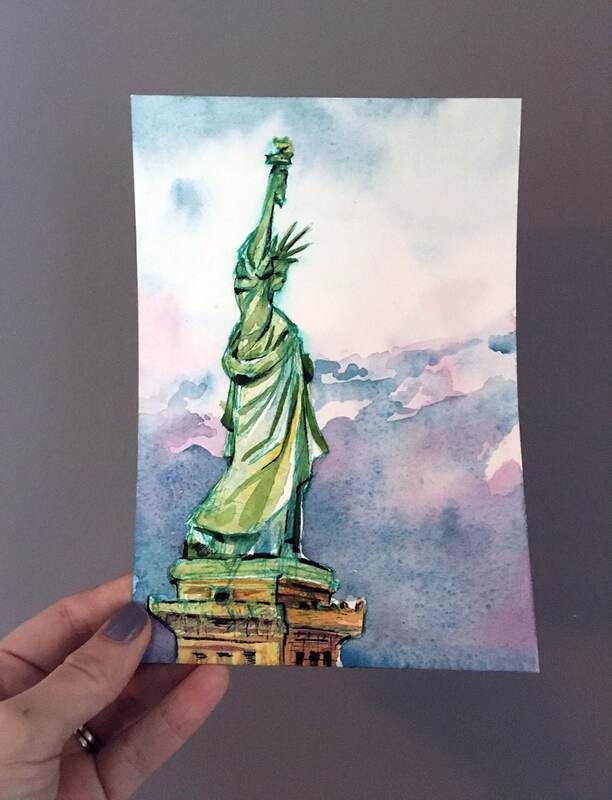 I painted this original watercolor of the Statue of Liberty on January 21st, 2017. It was created for the Women's March against Donald Trump. 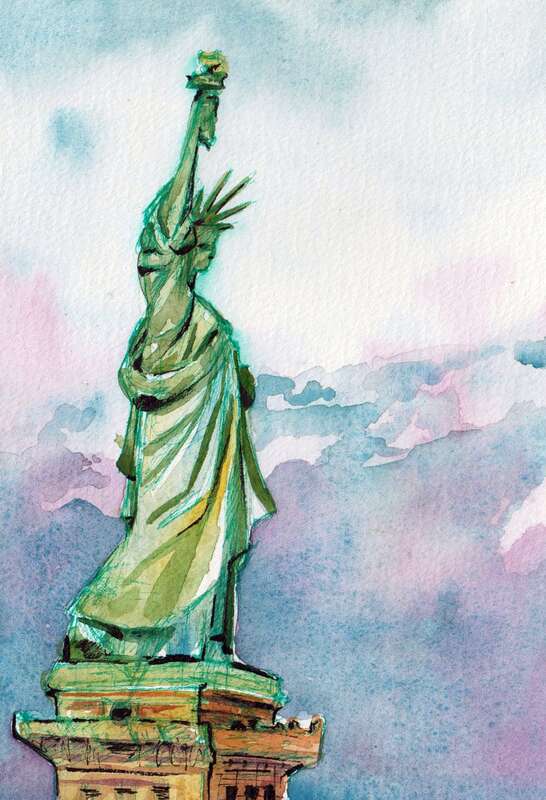 If Lady Liberty could have marched yesterday, she would have. Let's stand together and be the change we need to see over the next four years. We are stronger than hate. This piece is titled "Women's March." It is watercolor and ink on paper. It measures 4 inches x 6 inches (10.16 cm x 15.24 cm). This listing is for a post card sized original painting shown. It was created using only the highest quality, archival materials.